We went to Hix a couple of weeks ago and I really liked the water jug we had on our table. 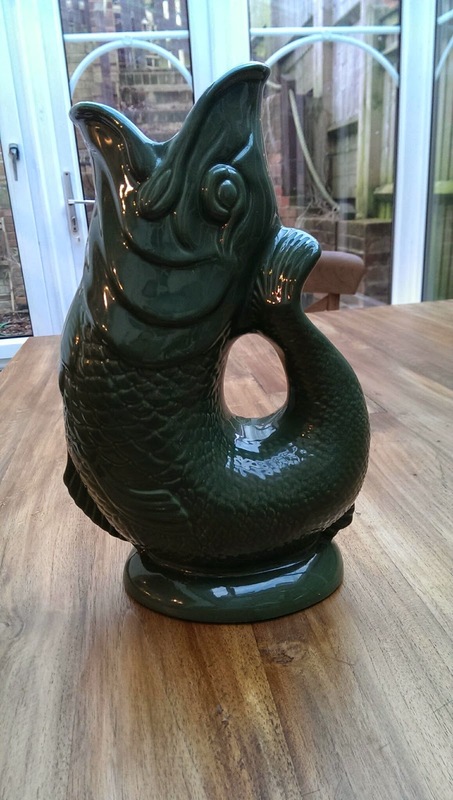 When we got home a googled fish jug and it turns out they're quite popular. £10 later on eBay I'd preferred my very own. They're called gluggle jugs as they make a satisfying gurgle every time they're used.